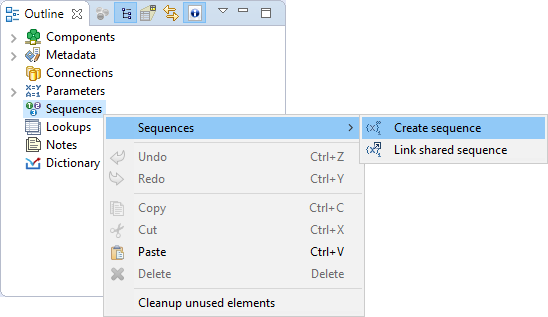 If you want to create an internal sequence, right-click the Sequence item in the Outline pane and choose Sequence → Create sequence from the context menu. After that, a Sequence dialog appears. Continue with Editing a Sequence.